Road work on Marana Road just west of Sandario Road. 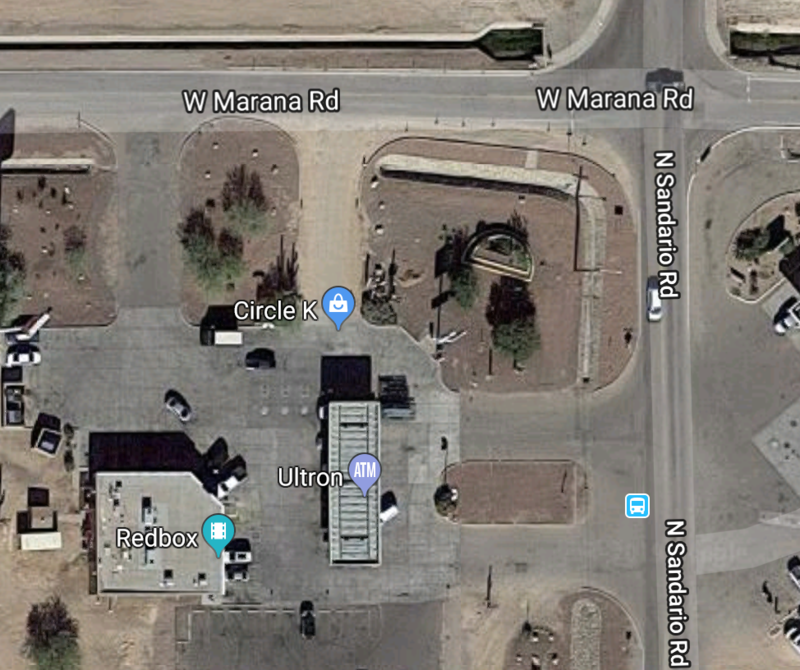 Portions of Marana Road at Sandario Road will be closed beginning on Monday, March 25, 2019 through Friday, March 29, 2019. The closure will be in place to construct a traffic control median. Sandario traffic will not be affected. Marana Road drivers should use the traffic circle located at Sandario Road and Marana Main Street. This will only impact the western portion of the intersection. All driveways to Circle K will remain open. For your safety and that of the contractor’s personnel, please comply with traffic control devices, flagging personnel, and/or detour signs. Travel time through the project area may increase during construction so please adjust your schedule accordingly. Construction may restrict traffic lanes and create congestion. Taking alternate routes is suggested. If inclement weather or other events cause delays, the work may be rescheduled without further notice. Stay up-to-date on Town of Marana news, projects, and events. Visit MaranaAZ.gov, like us on Facebook, and follow us on Twitter. Marana Road and Sandario Road.